In Style • Hong Kong 「時尚潮流．魅力香港 - a large-scale signature promotion campaign organised by the Hong Kong Trade Development Council (HKTDC) with an aim to highlight Hong Kong’s vibrant and unique lifestyle and creativity, and present our world-class services, which together have established Hong Kong as a leading trendsetting city in the region. 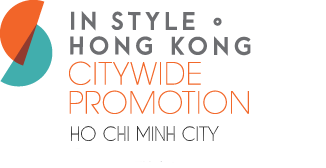 After the successful launch in Jakarta, Bangkok and Kuala Lumpur and Ho Chi Minh City, the HKTDC will host the 5th edition of In Style • Hong Kong in Manila, the Philippines on 5-6 March 2020. This high-profile promotion included a trade expo showcasing a wide array of quality branded and design-led lifestyle products from Hong Kong, a service symposium featuring a range of business services, a high-level gala dinner welcoming prominent officials and business leaders from the Philippines and Hong Kong, and a series of citywide promotions.